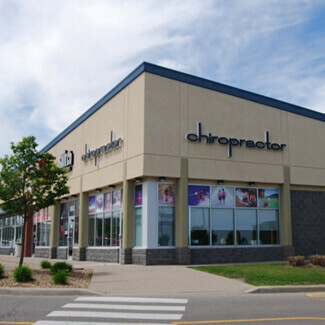 Envive Chiropractic was opened in 1985 but relocated to our new location in 2006. We’ve been proudly serving the Ajax community ever since! At our practice, our entire team has one goal in mind each and every day: To add life to your life naturally. We do that by creating hope for our patients, who we see as a part of our family. We believe that everyone’s needs are completely different and unique, and our doctors will never force you to participate in a care plan that you’re not ready for. Whatever your reason is for seeking chiropractic care, it’s our job to get you better. Our Ajax chiropractors are happy to see patients of all ages in our practice, from babies who have just been born to seniors well into their golden years. Simply put, if you have a spine—we’re here for you! One of the biggest aspects of our practice that sets us apart from others is our ability to listen to our patient’s goals. Of course, we want you to feel better after our care, but we go beyond that. Through crafting focused care for you and your family, your body will be better able to adapt to stress in the long term, be it chemical, physical, emotional or environmental. We’d love to help you and your family feel better naturally with chiropractic care. If you’re interested in learning more about how we can help you, contact our practice today to get started.